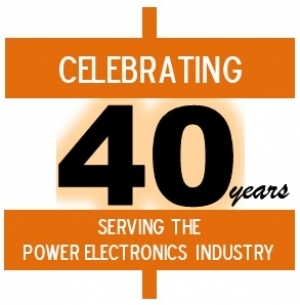 2014 marks a year for ICW to celebrate 40 years of servicing the power electronics industry with high quality film capacitor solutions. Designed and manufactured at our UK facility we are proud of our track record in supplying innovative polypropylene and polyester capacitors for a wide variety of arduous, high power applications. Our ability to combine short lead times,competitive pricing and exceptional quality have kept us at the forefront of the industry. A position we aim to maintain through continuous investment in our people and facilities. We would like to take this opportunity to thank our loyal customers for the last 40 years and we look forward to working with old and new customers in the next 40 years!